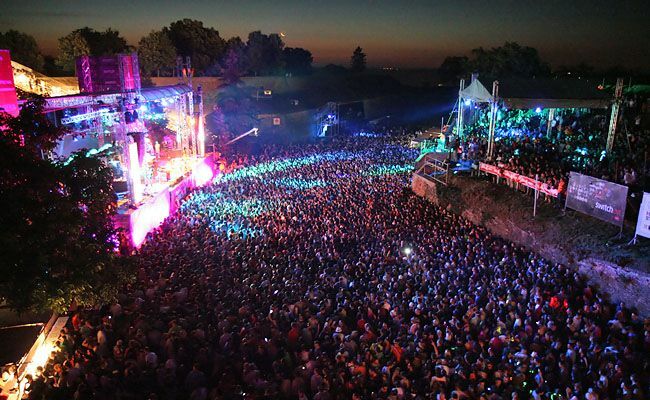 Exit (Literary Serbian: Егзит, Egzit) (also known as State of Exit) is an award-winning summer music festival which is held at thePetrovaradin Fortress in the city of Novi Sad, Serbia. It was officially proclaimed as the ‘Best Major European festival’ at the EU Festival Awards, which were held in Groningen in January 2014. The EU Festival Award is considered one of the most prestigious festival awards in the world, and for the 2014 ceremony 620 000 people voted, choosing between 360 festivals from 34 countries. The festival was founded in 2000 in the University park as a student movement, fighting for democracy and freedom in Serbia and theBalkans. 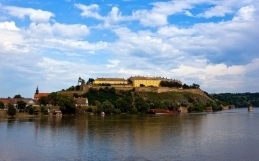 After the democratic changes happened in Serbia, Exit moved to the Petrovaradin fortress in 2001. Nonetheless, social responsibility is still a very important aspect of the festival activities. Exit has won the ‘Best Overseas Festival’ award at the UK Festival Awards in 2007, ‘Best Major Festival Award’ in 2013 and was ranked one of the 10 best major festivals at European Festivals Awards 2009, 2010, 2011 and 2012 and one of the 10 Best Overseas Festival at UK Festival Awards 2013. Exit has gained international media attention over the years. The International edition of CNN, CNN World Fiesta, featured an article on music festivals in the beginning of June 2011, which included Exit on the list of nine best festivals in the world. The Guardian declared Exit as the best festival in the world in 2006 and the best tourist destination in 2008. The Sun, the British daily newspaper, included Exit on the list of eight best festival destinations in 2012. 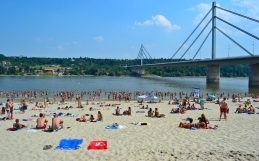 In Euronews‘ May 2013 article on the world’s leading festival destinations, Exit was included in the ten best European festivals in 2013. Exit has received several awards: the Golden Superbrand at Superbrands Serbia 2006, Best SEE Event at SEE.ME Awards in 2007, 2008 and 2010. UK Festival Awards 2007, together with Yourope, the Association of the 40 largest festivals in Europe, awarded Exit the ‘Best European Festival’ award.